Earlier this week the American Academy of Pediatrics announced a policy recommending that pediatricians tell parents to read aloud to their infants from birth. In support of this new policy, today’s Thoughtful Thursday celebrates the pleasures of reading. Hope these poems inspire you to read with your sons (whatever their age). Enjoy. nobody can hear you can they? What can parents do to fight summer slide without spending the summer being academic drill sergeants? One way is to encourage our sons to keep their skills sharp with fun apps and games.Commonsense.org recommends “5 Apps to Boost Math Skills over the Summer”, found here, which are both fun and skill building. Does your son want to play outside and/or in the park all day? Check out “13 Dazzling Discoveries Kids Can Make with Outdoor Apps”, found here, to find ways to bring out the budding scientist in him as he spends his days outdoors. Take a look at their “Summer Learning Guide” found here for great games, apps and websites designed to encourage your son to continue his learning over the summer. We’ve offered you tips on encouraging summer reading in recent posts. Be sure to check out Reading is Fundamental’s article on “What Can Families Do to Keep Children Reading During the Summer? found here. We’ll keep adding resources as we find them to fight summer slide. Send us your tips! Today’s Thoughtful Thursday pays tribute to the gifted and beautiful actress, writer and activist Ruby Dee (October 27, 1922 – June 11, 2014). 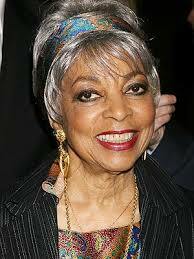 Here are a few favorite Ruby Dee quotes. Enjoy. • The kind of beauty I want most is the hard-to-get kind that comes from within — strength, courage, dignity. • God, make me so uncomfortable that I will do the very thing I fear. • The greatest gift is not being afraid to question. • Classism and greed are making insignificant all the other kinds of isms. • You just try to do everything that comes up. Get up an hour earlier, stay up an hour later, make the time. Then you look back and say, “Well, that was a neat piece of juggling there — school, marriage, babies, career.” The enthusiasms took me through the action, not the measuring of it or the reasonableness. • That’s what being young is all about. You have the courage and the daring to think that you can make a difference. You’re not prone to measure your energies in time. You’re not likely to live by equations. As many of you regular GCP readers may know, for the past 5 year Chicago’s Urban Prep Academy has been sending 100 percent of its high school graduates off to college. (See “Good News on the College Admissions Front”, April 16, 2014.) Recently Urban Prep Academy celebrated another milestone, as the first class of those high school graduates graduated from college. Watch this video of Krishaun Branch receiving his diploma from Fisk University, listen to him talk about his journey to college graduation and be very impressed, especially when you learn of his future plans. See the video here. Keep the tissues handy, you’ll need them. Happy Father’s Day from GCP! Although we frown slightly at these marketing holidays designed to get you into the card and department stores, we do cheer for a chance to celebrate dads. Great dads are wonderful role models for all of our children, but especially for our sons. Growing up with a father who shows you right from wrong, who teaches you how to be loving but strong, who makes you feel protected and cared for and shows you how to protect and care for others…this is golden for a young man. So to all of you GCP dads out there taking care of business for your sons and your daughters, we salute you, thank you, and ask that you keep up the good work. Today is your day, and we hope that you spend it being celebrated by your families. And to the single moms, please take this opportunity to thank the father figures in your sons’ life. We know that you hold it down as Mom and Dad so much of the time, but if there are men in your sons’ life who take on any of the roles of a father (and we hope that there are), take some time today to thank them for being there, and as importantly, have your sons thank them as well. It takes a village to raise a child, and there are surely some fathers in your village whose work and caring is truly appreciated. So let them know that you are thinking of them and appreciating them today. A HUGE shout out to all of the fathers, here and smiling down from above, who have supported and guided and loved their children, both those they sired and those in the village that they helped raise. We are all the better for you!!! With Father’s Day coming up on Sunday, today’s Thoughtful Thursday pays tribute to dads. In “Only a Dad” Edward Albert Guest pays tribute to all of the fathers who work hard to support the families who love them. Martin Espada describes witnessing his father’s bravery as a child in “The Sign in My Father’s Hands”. Li-Young Lee passes on a favorite lesson learned from his father. And we end with a classic ode to fathers everywhere, Robert Hayden’s “Those Winter Sundays”. Enjoy, and Happy Father’s Day to all of our GCP Dads!!! As the school year draws to a close, our sons in middle/junior high and high school may be facing final exams. Today’s Thoughtful Thursday offerings are a mix of poems about tests and school in general. It includes a cute poem to read to your young one who needs a bit of encouragement on test taking day, a poem about a young man’s experience in school that parents of boys can certainly relate to, and a well known Israeli poet’s reflections on what he did and didn’t learn in school. Enjoy. the shape of its leaves, the function of its root system, its pests and parasites. I’m still studying it, I’ll go on studying till the day I die. we were seeing from the window. The schoolyard was narrow, paved with large stones. that was the beginning of a first great love. like everything else in Jerusalem.